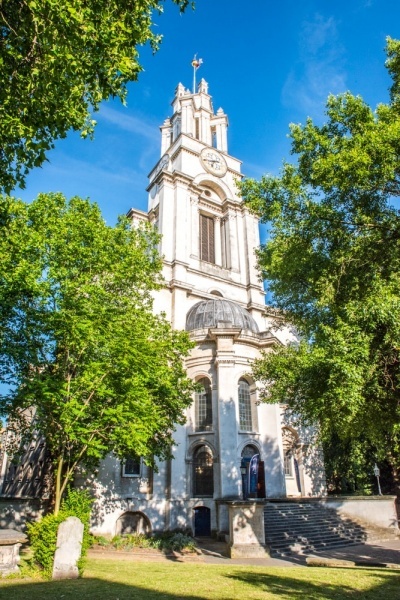 A striking tower tops St Anne's Limehouse, a classical church designed by Nicholas Hawksmoor in 1712 and paid for by a tax on coal. in 1711 Queen Anne pushed through the Fifty New Churches Act of Parliament. 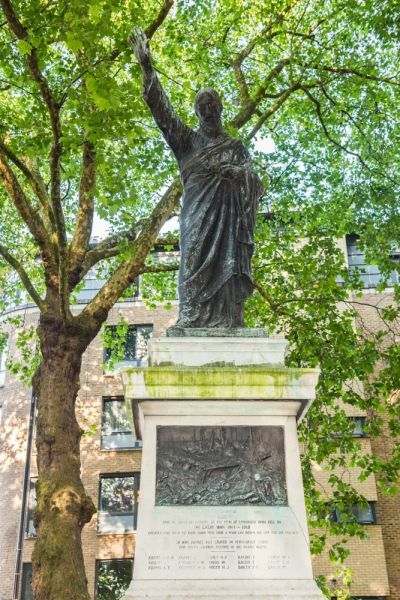 Part of the Act's promise was to build a dozen new churches in London. One of these new churches was to be built at Limehouse, and to raise money for the building a tax was imposed on coal transported on the River Thames. The church was consecrated in 1730. 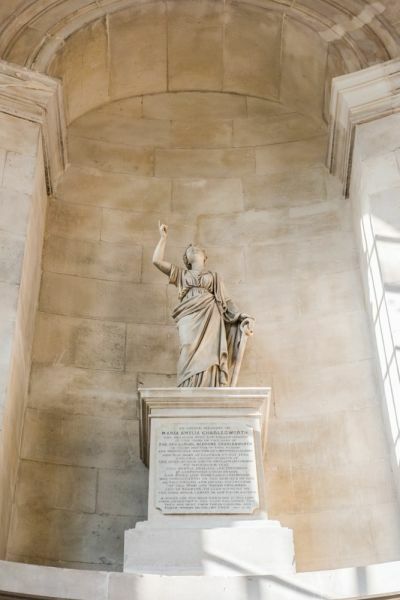 The architect appointed was Nicholas Hawksmoor, assistant to Sir Christopher Wren, who built 2 other churches in East London under the Fifty New Churches Act. 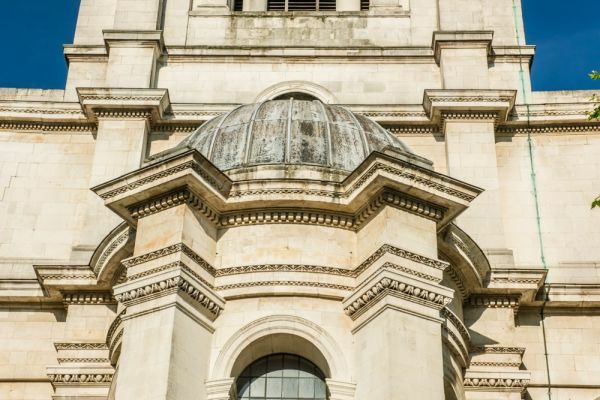 Hawksmoor designed a neoclassical church very much in the Baroque style, with a tower rising in steps, diminishing in size towards the top. The original interior floor was brick, but this was later covered in Portland stone. 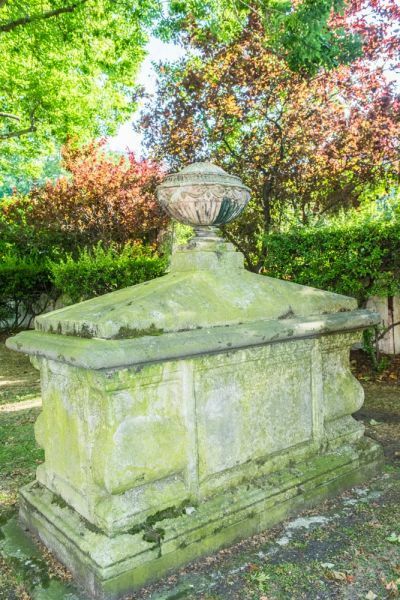 A striking pyramid was designed to go on top of a corner at the east end of the building, but this is now in the churchyard. The pyramid itself is Grade-II listed for historic interest. Right from the start St Anne's was intended to have strong ties to the Royal Navy. Even the clock on the tower - the highest clock on any London church - is a special maritime design. It originally chimed every 15 minutes to help guide the 6000 ships that used the Limehouse docks on a daily basis. The clock has since been altered and only chimes every hour. Over the clock is a golden ball, used as a navigation mark by ships sailing on the Thames. The Royal Navy tie is strengthened by having the rector of St Anne's also act as an honorary chaplain to the Navy. Inside the church is the battle ensign of the HMS Ark Royal. On Good Friday, 1850 a fire swept through the church, causing enormous damage. 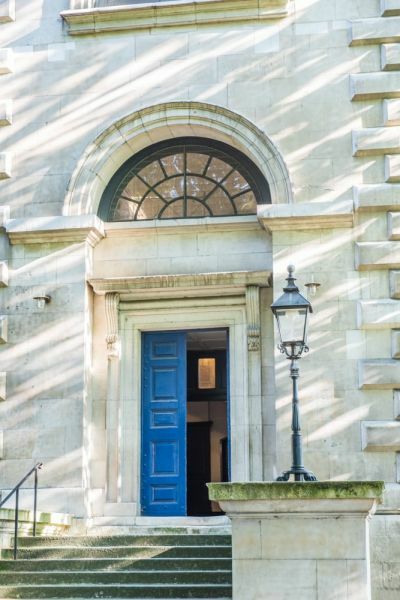 It was rebuilt by Philip Hardwick, creating a pleasing blend of early 18th century and mid-Victorian design. By far the easiest way to reach St Anne's is by DLR to Westferry. From the station exit walk up West India Dock Road to Commercial Road, turn left and you will find the churchyard immediate ahead on your left. From the station to the churchyard is no more than 5 minutes easy walk. As far as we can determine, the church is usually locked outside normal service times. When we last visited there was a serice underway. We didn't want to interupt, but we did manage to take a quick look inside the tower, which was beautifully spacious and had lovely, large windows created a very spacious feel. 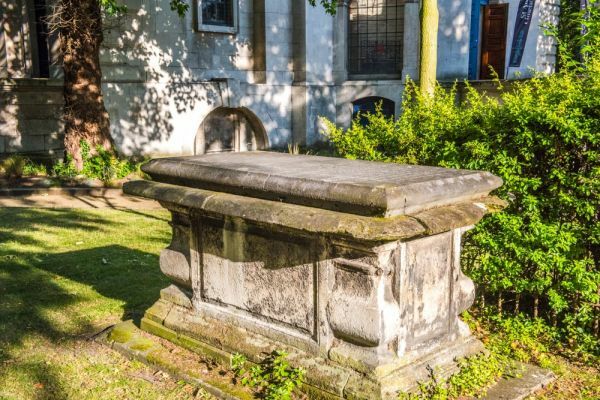 There are several very good 18th and 19th-century table tombs in the churchyard and a very finely carved war memorial under a copse of trees by the north-east end of the churchyard. Location: By DLR to Westferry, then a 5 minute walk up West India Dock Road to Commercial Road.